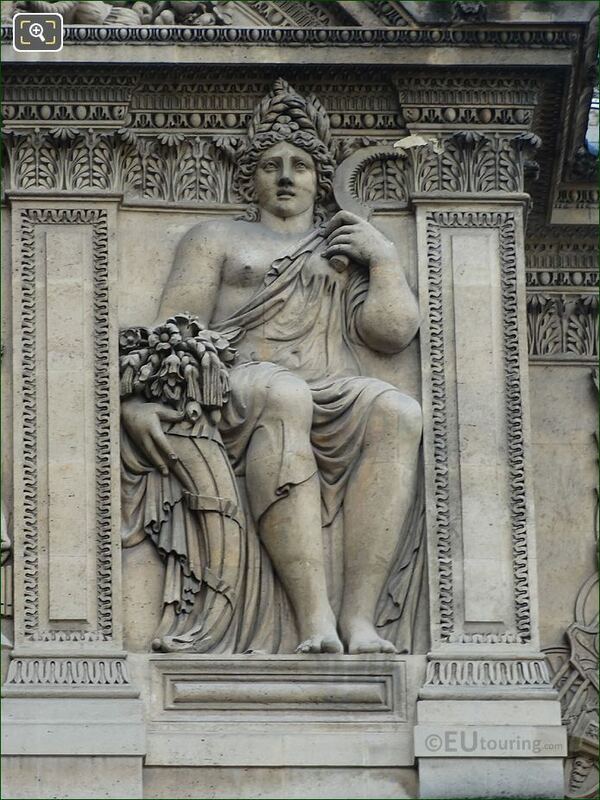 While we were at the Musee du Louvre in the 1st Arrondissement of Paris, we took these high definition photos showing a historical sculpture called Ceres, which was sculpted by Jean Goujon. 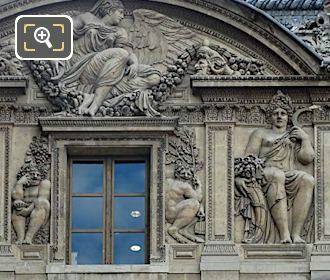 Located on the very historical Aile Lescot wing of the former Palais du Louvre, you will discover some impressive relief sculptures, and in this first HD photo, you can see the allegorical sculpture depicting Ceres, the Goddess of Agriculture in Roman mythology. Ceres is associated with edible grains, especially wheat, and the name cereals is derived from this mythological goddess who has been recognised for centuries and was originally credited with discovering spelt wheat, hence Goddess of Agriculture, although she is also referred to as a Goddess of Fertility and Motherly Relationships. 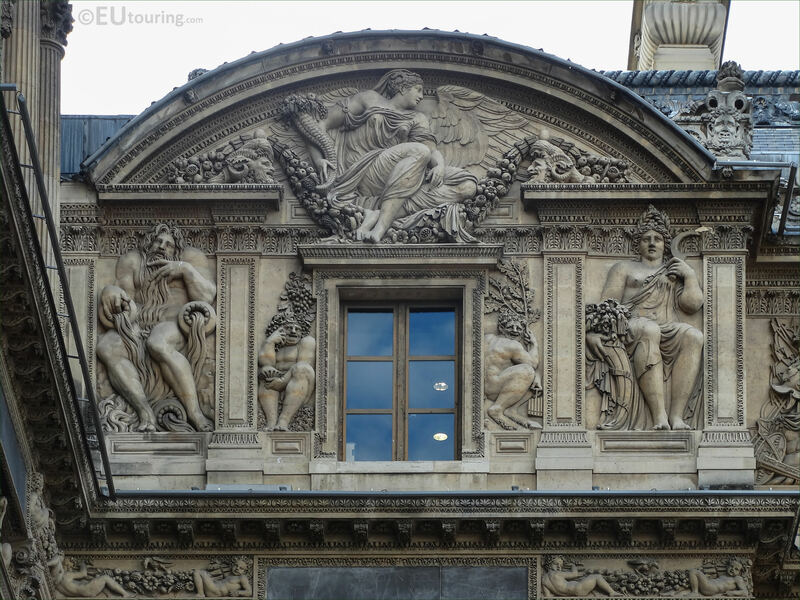 Now this photograph shows the entire top left hand side pediment section of the Aile Lescot, with the sculpture of Ceres to the right hand side, which can be seen from the courtyard of The Louvre called the Cour Carree, and this entire section was sculpted by Jean Goujon between the years 1556 and 1562. But little is actually known about this French sculptor who is thought to have been born in the Normandy region of France around 1510, yet the first mention of him working as a sculptor was in 1540, then in 1544 for the Eglise Saint-Germain l'Auxerrois before being appointed the official sculptor for the Palais du Louvre. However, his time in Paris was short lived, as he went into exile in Italy for religious reasons to avoid the Wars of Religion, and the last mention of Jean Goujon was in Bologna in 1563, yet his most famous works are these sculptural decorations and the Fontaine des Innocents, although the original bas reliefs on the fountain are now preserved within the Musee du Louvre.